This Monday, I joint a panel discussion in Montréal on “Minor forms of academic communication: revamping the relationship between science and society?“, at the World Social Science Forum. The Forum was organized by the ISSC, i.e. the UNESCO. Yes, Monday was Thanksgiving in Canada. I have to admit that I was not used to celebrate Thanksgiving, in Europe, but since I have in North America, I try to enjoy it. As you can learn on http://en.wikipedia.org/wiki/Thanksgiving, at Thanksgiving, you’re supposed to be “Spending Time with Family“. I find it odd that the UNESCO organizes a three day conference on that week-end (the conference started on Sunday actually). It looks like you’re not supposed to have a family life when you’re an academic…. It is still a cartoon, probably more an autobiographical graphic novel, but those animations are great. For the first time, I really see the interest of blogging in graphical novels. Please, have a look at “notre Toyota était fantastique“, it is really something you should experience… And I was glad to share André’s point of view, since this is exactly his expertise (as a researcher). I hope that we’ll find some time to discuss more about data visualization, since I believe I have a lot to learn from him. It was also great to finally meet Marin Dacos, one of the founder of http://hypotheses.org/, which is the platform hosting now my blog. Hearing some macro-vision about academic blogging was interesting, and complementary compared with blogger’s experiences I’ve been reading those past days to prepare my talk. I was also glad to discuss legal aspects related to blogging, since one of the interest of being hosted by an academic platform is to have some kind of backup and support. One of the issue I should still work on is about adding mentions when I use a picture on my blog. I am aware that it is not fair to avoid citations related to pictures, when I upload them on my blog. A few months back, I decided to add mentions, explaining where each pictures were borrowed from. Then, since the owner of the rights of some pictures was checking on the internet using robots (or simply Google), within a week, I got an email asking me to remove those pictures, since it was illegal. The email was not friendly at all. So I did remove the pictures, and all the citations and mentions. 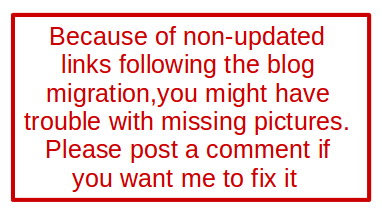 So, if some authors of pictures want me to remove a picture from my blog, or want me to add a mention below, I’d be glad to do so ! Please, just send me an email. I found that awesome ! I mean, at first, I find that odd to see me mentioned so many time on consecutive posts on twitter. But it is great to see what people in the room got from my talk (I have to admit that it was not live for me since I do not have a smartphone – not even a phone actually – I did discovered that later, in the evening, when I got back home, after some beers with André and Loïc). I did really enjoy what Ewen did on his blog a few month ago, with a detailed summary of the R conference he went to (see http://editerna.free.fr/wp/?p=56). Here, it is the tweet version. And I found it great… I don’t know why it is the first time I see this (I don’t know if it is something you see more in social science than in mathematics, or just due to the fact that I did not attend much conference since I have three kids), but I loved that… Thanks again Ravi. The origins: why and how the blog started? The practice: how do I blog? The future: why is it still worth blogging, in academia? The first version of the blog started at Université de Rennes 1, following a request from the IT department. In 2007 (as far as I remember), someone came up with the idea that all researchers should have a web page, or at least a page explaining their area of expertise, with links to papers, and lecture notes. But a lot of researchers were reluctant, and that IT person thought that blogs might be an interesting alternative. I was (extremely) skeptical, but since I just arrived in Rennes by that time, I thought it could be fun. I did have web pages for my courses (see a relic of the past, http://193.51.89.161/st/ for a course on time series I gave 10 years ago, in Paris), and I did have a webpage with weekly updates, that could be called a blog. So I did have some kind of experience. But still. From a technical point of view, blog is a contracted form of weblog, which is a website made up of ongoing entries, that we will call posts. And those posts are published in reverse chronological order. So it makes it difficult to follows for students, unless they go on the blog frequently. There might be tags and categories, that can be used to distinguish posts related to conference, publications, and teaching. This first blog was a great experience. Teaching was fun, students did like the idea of the blog, and comments became a place to discuss. The blog was some kind of (open) forum, there were a lot of comments. I became blog addicted by that time. Then I started to be recognized in conferences, and I wanted to stop having an eponymous blog (coincidence, or not, it was also by the time I moved to Montréal). Actually, several academic blogs are eponymous, it is rather common (we’ll get back on that later on). And that makes sense since most bloggers tend to identify their blogs, as both personal and professional. Consider for instance Ann Althouse, professor at University of Wisconsin Law School (since 1984) who met her husband through blogging (see http://nytimes.com/…). I guess you can find all here life (personal and professional) online. Boundaries between professional, academic and personal life may be difficult to establish, mainly because all those aspects intertwined constantly in the lives of scholars. After a almost three years, the Freakonometrics adventure started officially. This blog is clearly an academic blog. Because of the editor, because of the contents, and because it is now hosted by hypotheses.org , a “platform for academic blogs in the humanities and social sciences“. It is one academic blog among many others1 . John Quiggin explained in 2006, “with the arguable exception of law, economics is the academic discipline where blogging has been embraced most enthusiastically“. This might explain why there is such an active – and enthusiastic – community (see more recently another discussion, by John Quiggin). About the academic blogosphere, Jacob Halford said that “the situation within academic blogging seems to be that we are currently a bunch of islands that are vaguely connected but not really arranged into continents and groups. We are all spread out across the digital world with a fragmented network between us.” What can we find in this community? Some economists like to use their name, like Greg Mankiw’s blog for instance (with subtitle “random observations for students of economics“). But most of them prefer to hide themselves behind a short title, like Confessions of a Supply-Side Liberal (by Miles Kimball), The Conscience of a Liberal (by Paul Krugman), or longer one, like Statistical Modeling, Causal Inference, and Social Science (by Andrew Gelman). The editor is never hidden, and we usually find a short bio, including a picture (most of the time), as well as a link to a webpage hosted by some university. Other examples might be I’m a bandit, with subtitle “random topics on optimization, probability and statistics. 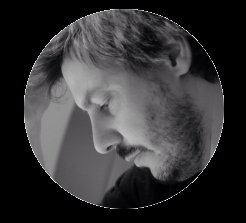 by Sébastien Bubeck“, or what’s new, with subtitle “updates on my research and expository papers, discussion of open problems, and other maths-related topics. by Terence Tao“. Some blogs use puns (it is a feature that you can find on almost any blog: most of them use humor, just to explain that this is just a blog) like Hyndsight, “a blog by Rob Hyndman“. But the reference I like more is perhaps more one of those blogs where the (true) name appears, but only slightly…. In those blogs, the name of the editor appears only as the author of posts, like Marginal Revolution, where the contributors are Tyler Cowen and Alex Tabarrok, or Normal Deviate (with subtitle “Thoughts on Statistics and Machine Learning“) by Larry Wasserman (you simply have to click on the About hyperlink, but it is the only place you’ll find the name of the editor of the blog). Now, to explain the name of my blog, in a few lines, I should probably spend some time discussing a major influence. In 2005, University of Chicago economist Steven Levitt and New York Times journalist Stephen Dubner published a collection of ‘economic’ articles, claiming that economics is, at root, the study of incentives. This is how http://freakonomics.com/blog/ started (the first post was published in September 2005). My blog is more about econometrics than economics, and I did borrow (not to say steal) the name freakonometrics to a colleague of mine at the Ecole Polytechnique. According to Francis Kramartz, there were two different approaches in econometric courses: see econometrics as an application of mathematical statistics, where the linear model is projection of the variable(s) of interest on the subset of linear combination of possible explanatory variables, and you derive properties, and then you discuss possible applications. Or you start with applications, with data, and then you try to find a (possibly) predictive model. Francis called this second approach freakonometrics. I find nice the maths behind econometrics (especially when you can mention geometry and projections), but I also love playing with datasets! I love the feeling you can have when you try to extract information, and think about visualization issues. I thought freakonometrics was a proper description of what will be in the blog. Another important point when I started blogging was related to a so-called open community. I started blogging a few years after discovering R (a free software programming language, and a software environment, for statistical computing and graphics). The community of R users is based on the idea that we should share notes, codes, and tips. Since blogging is sharing some knowledge, it became natural to blog, including codes. And I have to confess that it has always been thrilling to see people willing to re-use what I’ve done in a blog post (as long as they don’t make money of it). Of course, there are alternative to blogging, such as being an active member on a forum (like stackoverflow), or answering to mailing list (see the paper by Timothy Stephen and Teresa Harrison on the Comserve experience). I truly admire contributors on forums or mailing lists. And somehow, we do the same kind of things. Except that on my blog, I am in charge. What the blog looks like ? This might be a stupid question: since you read this post, you obviously can look around, and see how the blog looks like. On the left, I try to give a short description of my blog. I pretend that it is an “unpretentious academic blog“. It is an academic blog from its contents, not only because it is written by someone within academia. And it is unpretentious because I want my blog to be casual (but we’ll get back on this point later on). About me, I pretend to be “a surreptitious economist and born-again mathematician“. This is from my background. I did study Mathematics in France, then I discovered Economics. I got a master degree in Economics and Mathematics, and a PhD in Mathematics. Then I chose to join an Economics department, in France, for my first position, and finally got a position in a Mathematics department, in Montréal. Currently, I rediscover Mathematics, but I still love Economics. Econometrics in neither Mathematics, nor Economics. It happens to be somewhere in between. A macroeconomist will analyse and compare transportation prices. A microeconomist will try to understand why people decide to take their bike, or a car to go to work. They will try to explain why return tickets are usually cheaper than one-way tickets. An econometrician will try to get datasets with ticket price, for different dates, different destinations, etc, and then, try to quantify the price difference. Not necessarily explain it. This is what I do in my blog. I explain how to model, and I skip usually the interpretation part. I claim that I am “a blog activist, and an actuary, too“. About the second part, in Europe, no one knows what actuarial science is, so usually, I do not mention it. In North America, it is much more popular. And yes, I am an actuary. I did publish books on mathematics of insurance, and I am about to edit a book on computational aspects of actuarial science. I am not proud of being an actuary, but the truth is, I find insurance problems puzzling and challenging, for mathematicians and economists. For the first part, yes, I keep writing on my blog that academics should blog. They do have legitimacy to comment and explain, so they should us it. I can even go on a conference on a holiday to talk about blogging ! I mention my academic publications since I believe they give me legitimacy, when I talk about econometric models, or probability. This is how academics judge other academics within academia. I believe that those websites give me some credibility, not as an researcher, but as a blogger. I do also mention top site mentions, such as “100 Savvy Sites on Statistics and Quantitative Analysis“. I should probably mention that it might look like my academic profile gives me credibility as a blogger. But somehow, I have the feeling that the causality effect has changed: I now have credibility in my research because of my blog. Some editors asked me to refer some articles submitted because they read some posts on my blog (as they told me explicitly in their email). Some colleagues invited me because they know me2 from my blog, not from my research papers. How do I blog, and what do I blog about ? about forthcoming conferences, thesis prices, etc. This was done on the blog when I started, but this information is now shared with microblogging (through Twitter, via @freakonometrics). Nevertheless, there might be some recent examples on the blog, such as a PhD defense or a PhD price, or to mention the panel of the WSSF. about Markov Chains: what is the transition probability of a Markov Chain ? can I derive it in a simple case ? like Snake and Ladder game ? Here, I explained how to model that game, and how to simple Markov chains to see where you might be after rolling a dice ten or twenty time. about demography issues: what is the age of the oldest person you know (from a TV commercial) ? How old are the popes, or the Members of Parlements (twice actually)? Based on some open dataset, I compare the distribution of the age of MPs, and the distribution of the age of people who might be able to vote. about probabililty: if I go the play the roulette, and I wish to maximize the probability of doubling my initial wealth, should I play small or should I play big ? or probability to win when playing cards : the more players there are, the longer the game? Some of the posts were published before I went to Las Vegas (for holidays). about number theory, and complexity of strategies: on a Sunday evening game with kids (I pick a number, and you should find it), or a story about McGyver in an Afghan jail. In this post, I use a nice theoretical result in group theory in a McGyver story, trying to explain that yes, group theory can be fun, too. about magic tricks: how to sort matrix, per row. This post is based on the mathematical explanation of some magic trick. 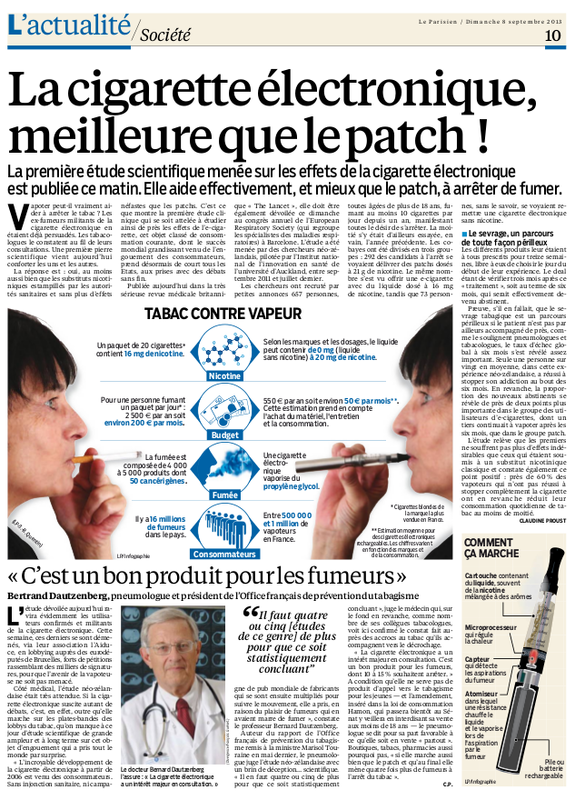 about e-cigarettes, and confusion in some French newspapper about a scientific study, where it was claimed that there was a difference, but (statistically) not significant. about insurance and bargaining: why is it – sometimes – rational for insurance company to bargain, with their insured, based on some old research paper, published in the 70’s. about the interpretation of a parameter in a model: can weights in weighted least squares be understood as a frequency ? about subadditivity and risk measures: why statements in discussion papers regarding Insurance company solvency might be incorrect, and yield to counterintuitive situations. about bias selection: why we should not listen to students and policemen (see ) or why are there always more buses on the opposite side of the road. about probabilities, like nuns and Hell’s angels in an airplane, some nice puzzles, here and there, and probabilities to have brothers and sisters: do boys have more brothers, or more sisters? about airline tickets: when it is optimal to buy – online – an airline ticket. I did use a dataset mentioned in a study on a similar topic, and I try to explain that this question is related to some risk aversion measure: are we looking for the date where, on average, the price is the lowest, or a date were, with 90% chance, the price is the lowest? There was also a post on hours of tweets (where I tried to see how long I can survive away from Twitter). about textmining, and letter appearance in language (and books): including La Disparition, a book written in French with no E (how different is letter appearance probability, compared with the conditional one, when E is removed?). Discovering textmining functions. about sharing datasets: we did generate a dataset linking zip codes and spatial coordinates or with counts of births in France, per day. about the history of extreme value theory:what is the story behind the Fisher-Tippett theorem, and the law of three types, with Gumbel, Weibull and Fréchet distribution ? Did those people (really) work on extreme values ? Who got which result ? See also the history of the return period concept. about the Student t test: who is this Student, and what are the connections with Guiness ? about the chi-square distribution: what did Peason discovered first, the chi or the chi-square distribution ? about the law of small number: why is the Poisson distribution so important ? about financial market efficiency (in French): who said that assets prices could be modeled as random walks (and therefore are then ‘purely’ random) ? What is a martingale ? See also an application to temperature time series in Montréal. about optimization: did Newton and Raphson (from the so called Newton-Raphson algorithm) really invented the gradient descent ? about climate change: codes and graphs related to a talk given a Lyon on extremal events, and climate change. How do I blog, and what do I not blog about ? Another reason why I will not blog about everything is that I do not have legitimacy to blog on everything. I mean, I know a bit of mathematics, but when I post something about a property in geometry, I feel like an impostor. Similarly when I write something about some history of some statistical concept, about regulation in insurance, about simple game theory result, etc. I try to publish on topics that are either related to my research, or to my teaching activities. Even tonight, when writing this post, it looks like a big fraud to me, and I find it extremely hard to write some exegesis about my blogging activity. Finally, I should confess that I do not blog about everything because I try keep some ideas for my research, that will (hopefully) end up with a publication in a peer-reviewed journal. Blogging does not get much credit in an academic career, let’s be pragmatic… Blogging is not a substitute for other academic writings! But they can clearly coexist (see a discussion on insidehighered blog). If we compare a blog post and a (standard) academic article, it takes more time to write a paper, mainly because full referencing is necessary, because it is necessary to convince the editors, as well as referee(s) that you wrote something original, that is probably a major contribution. It is much faster to publish a post! And probably most important, while blogging, you can explore a question, you do not need to answer it. How do I blog? Somewhere between an academic paper and a journalist article? As mentioned previously, some academics do publish posts in blogs hosted by newspapers, such as The Conscience of a Liberal (by Paul Krugman). Somehow, those journals (here the New York Times) host academics the same way newspapers hosted some opinion pages, were academics where invited to give their point of view, a few years back. But, as John Quiggin explained in 2006, “newspapers are generally reluctant to repost on academic working papers and similar publications unless the conclusions are obviously newsworthly“. Economics in newspapers has to be related to macroeconomics, and science has to be related…. 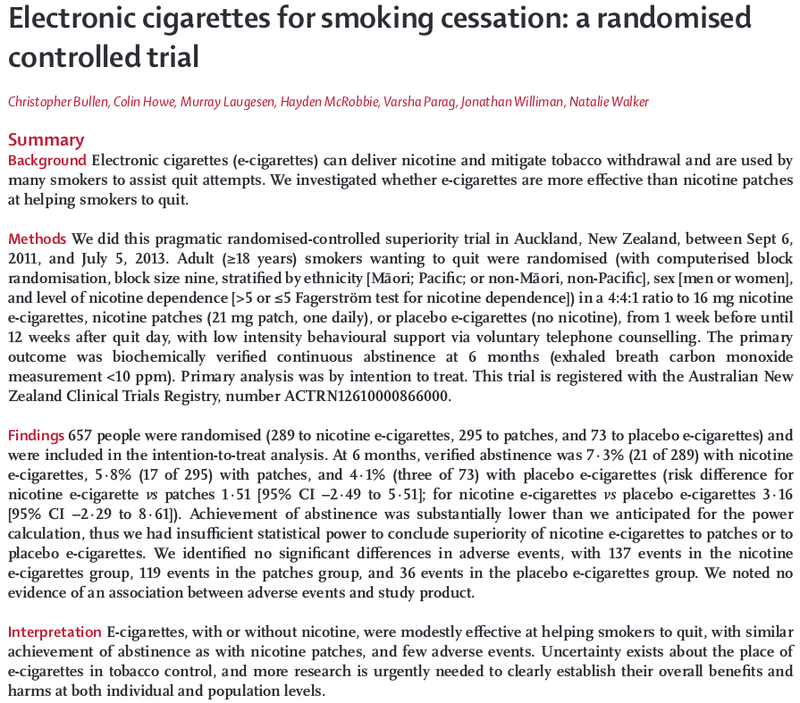 to medicine or technology (the science page is now a nice advertising page for the most recent smartphone applications, or the electronic cigarette, as mentioned previously). And, as mentioned by Robert Cottrell, a couple of decades ago, experts (not to say scholar) “have functioned as sources for newspaper journalists. Their opinions would emerge often mangled and simplified, always truncated, in articles over which they had no final control.” Now, with blogs, it is possible to read them directly, in a style that is easier to understand, compared with academic (standard) publications. “The general reader has access to expertise that was easily available, a decade ago, only to the insider or the specialist“. Writing a post is an academic blog is neither pretending being a journalist, nor writing an academic article. In the traditional process of research, we discuss with colleagues, possibly in conferences, but only the final publication remains. False starts and heuristics are skipped, because they might appear as un-necessary to get an understanding of the article. And I truly believe that this is exactly where blogging become interesting. Why am I still blogging ? a peaceful island within academia ? Compared with those (standard) academic activities, blogging is fun. Within the blogosphere, I do not see competition, just motivation and stimulation. You can interact with other bloggers, learn from them, and so far, it is still a pleasure to blog. Some bloggers claim that it is a shame that blogging is not recognized (formally) within academia, but I think it is actually a great opportunity. We do blog because we want to, it is not another required task. So it can still be fun… And when talking about the impact of my activities, I believe that my blog has much more impact than my teaching (in a class room) or my research. Why am I still blogging ? who I am blogging for ? I have to confess that I blog mainly for myself, in the sense that I do not want to have a readership waiting for me to post something everyday! Also in the sense that my blog gives me a complete freedom to talk about things I find fun, with a whole person style (and actually I do use my bog to develop my own “writing voice“, to use Jill Walker’s words), discussing about personal issues. I remember when I started blogging. At first, I thought that no one was reading my blog, and then friends, colleagues told me that they were. It is actually thrilling (not to say scary) to have 5,000 readers for a blog post, when you think about the number of readers of academic articles. As claimed by Brendan O’Connor, “blogs are a more effective medium for intellectual influence than journal articles“. Somehow, it looks like academic journals try to avoid exposure. I mean, publishing an article in the Journal of Narrowly Focused Hyper Specialized Field Studies is a great place to hide your research. If I wanted to be provocative, I would say that research is a social activity, where we need to keep, and to create, interactions with various researchers, reading papers, keeping our mind open. On the other hand, blogging is definitively a personal activity. And since I am an old bear, usually reluctant about standard social activities, blogging is perfect for me. With a simple cost-benefit analysis, I will probably blog if benefits are more important than costs. One component is related to time issue: is blogging costing, or saving time? I receive frequently emails, asking for explanations on a technical question (from students, former students, or anyone actually) that will need a detailed email answer. I still believe that a “reply to public” is possible, with a blog post. Similarly, while teaching, the same question is asked twice a year. The first year, I can write an answer in a blog post, and then, I can integrete it to my notes (blog posts can even be more interesting than lectures notes). I cannot believe that blogging is a waste of time, since I see my blog as a long-term memory (I do have an extremely short-term memory, unfortunately). And just to be naughty, I do see a lot of academics that “do not have time to waste blogging” who can write extremely long, detailed (and most of the time, nicely structured) replies. If I write a detailed reply to a specific question (because I found the question interesting) I find it stupid not to share it. All the more because other people might also be interested in interacting… With blogs, dissemination is immediate, as well as comments and feedback. I guess I will stop here, even if I might have tons of other things I would like to add. Based on this post, I now have think of something interesting to share in the panel, next week. But I also have to keep in mind “academic blogging can be an important medium, when it avoids the meta-narcissistic onanism of blogging about how important academic blogging is”, as claimed by Chris Parr. 2. I won’t have time to discuss this point today, but I have been discussing with a lot of persons who truly believe that they know me because they read frequently my blog. And, to be honest, that might be true, and it is a strange felling. I mean, I remember some diners where people told me that they’ve been on my blog, and they remember what I did post, and I am like “great, but I don’t know you at all… I have never read any of your research papers, I don’t know what you might be working about…” This asymmetry put me in some awkward situations. In a few weeks, I will attend the World Social Science Forum, and participate to a panel committee, on “Minor forms of academic communication: revamping the relationship between science and society?” The Forum will take place at the Palais des Congrès in Montréal. First developed by physicists, the open access movement has significantly widened in scope and has been taken up by the European Commission and the G8. If the motivations behind this are essentially to do with innovation, competiveness and the economic efficiency of state investments, open access also introduces a major change in the relationship between science and society. Once citizens have access to the results of social science research, in real time and in their entirety, the whole nature of the relationship between science and society is renewed. However, the debate is focused on the major forms of academic communication: journal articles and books. And yet, in ways almost invisible to the academy, so-called minor forms of academic communication are developing in the interstices, creating a kind of “permanent virtual seminar” and intermeshing with promising heuristic, pedagogic and societal possibilities. Over the last decade, research blogs have embodied a new experience of academic communication, allowing for an experimentation of formats, schedules and interactions that differ from those of the traditional academic process, at both its early and later stages. These blogs dovetail with societal questions, open up new frontiers and step outside the academic ivory tower. From “just-in-time sociology” to probing interpretations of the “Arab Spring”, from analysis of contemporary visual culture to knowledge of contemporary movements such as rap, tattoos and religious conversions, academic blogs place the social sciences at the heart of the society they study. Academic blogs have already found a following. Through this readership a democratisation of access to science is underway. This momentum brings opportunities and reveals new ethical, epistemological and scientific questions. For an academic, imparting knowledge revolves around two main activities. As a researcher, an academic must produce articles destined for a very limited readership and adhering to a very rigid process, one that involves severe constraints of time and form. As a teacher, an academic must think of his or her students; he or she must make knowledge accessible and arouse curiosity while also seeking to instil the notion of scientific rigour: outlining hypotheses; identifying the results that may be obtained if these hypotheses are borne out; questioning the validity of the said hypotheses. I will come back to the experience of the Freakonometrics blog, which originated as a response to a pedagogical difficulty and is based on two recent ventures. The first was Freakonomics, Stephen Dubner and Steven Levitt’s blog (then books), which aimed to explain economic behaviours using surprising and sometimes provocative examples. The second was the recent explosion of “data visualisation”, an offshoot of open data and big data that showed statistics could be elegant as well as informative. The Freakonometrics blog emerged from a desire to explain in very practical terms how econometric modelling works, by providing (or explaining how to find) data and sharing codes with which to produce graphics. This experience provided the opportunity to publish research studies in an unconventional form. If the rigour expected is the same as that of an article submitted to a peer-reviewed journal, the blog format allows authors to include anecdotes and exploit the rich potential of online documents (animations, links, etc.). Blog posts also extend the notion of reproducible research, the idea being not to impress the reader by making him or her think (s)he is reading something groundbreaking (which we all seek to do in an academic article), but instead to instil the idea of do-it-yourself by allowing all readers to reproduce the analysis. My paper will discuss the creation of a blog on the Hypotheses platform in relation to my position as a “young academic” and drawing on my experience of academic blogging. I would like to put forward the hypothesis that for a young academic, blogging is a means to liberate oneself from the rules of the academic world. It offers unrivalled editorial freedom and potential academic recognition. I would like to show that, in turn, this academic liberation emancipates knowledge itself, allowing it to reach sectors and readerships beyond those originally intended. I also wish to point out the practical aspects of this interplay between the liberation of the young academic and the liberation of knowledge. First, I will show why for a young academic, blogging is a way to liberate (or at least distance) oneself from the rules of the academic establishment. Secondly, I will attempt to show that by freeing themselves from the academic sphere, young academics impart knowledge, skills and qualities that are useful to everyone. In a context of financial difficulties and waning influence, the social sciences now place more importance on producing authority than producing knowledge. The new tools of digital micro-publication, which compete with traditional publications yet lack institutional legitimacy, have met with strong resistance. The characteristics that make them such formidable tools for research, communication and academic discussion, and for collective and collaborative work in particular, remain largely unrecognised. In the absence of suitable incentives and training programs, use of these tools is developing virally and falls far short of full potential. Will such tools continue to develop as best they can at the sidelines of the academy? While the humanities shun their social responsibilities, academic blogging will remain an art rather than a science. After several centuries of development, knowledge technologies today form a highly organised ecosystem, structured around books and journals and with its own clearly identified professions, infrastructures and actors. From publishers to librarians, authors to booksellers, a book industry has emerged and encourages the circulation of ideas. With the rise of the network, these roles are slowly being redefined and new actors are rapidly emerging. The 2006 ACLS report (“Our Cultural Commonwealth: The Report of the American Council of Learned Societies Commission on Cyberinfrastructure for the Humanities and Social Sciences”) is one of the first signs of recognition of the need for digital infrastructures. These infrastructures are not simply confined to “noble” publications i.e. books and journals. They also concern the so-called minor forms of academic communication. Yet developing such infrastructures requires much more than simply installing a server under a desk. On the contrary, digital infrastructures necessitate the creation of platforms, which in turn entail the emergence of new teams and new professions – those of digital publishing. These platforms are often developed or bought up by predatory multinationals (for example, Mendeley absorbed by Elsevier). Academic-led alternatives do exist (Zotero for bibliographies, Hypotheses for blogs), yet the academic community has failed to fully recognise the associated opportunities and risks. The academy has every interest in making sure it does not become marginalised within its own infrastructures. The alternative is to reproduce the vagaries of the extraordinarily concentrated global publishing system, which has stripped the research sector of some of its intellectual and budgetary initiative-taking capacities. See also : ”Scholarly blogs, a space on the side for academic dialogue” by Marin Dacos and Pierre Mounier. Part 1 and Part 2. The D.I.Y. strategy, and why academics should blog ! Last week, I went to the Econometrics seminar of Montréal, at UdM, where Alfred Galichon was giving a great talk on marriage market. 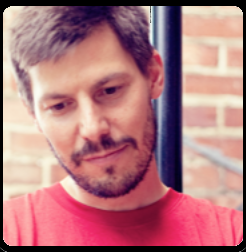 Alfred is a former colleague (from France), a co-author, an amazing researcher, and above all, a friend of mine. And he has always be supportive about my blogging activities. So while we were having lunch, after the seminar, Alfred mentioned my blogging activity to the other researchers. I should say researchers in Econometrics (yes, with a capital E, since it is a Science, as mention in an old paper by David Hendry by the end of the 70’s). Usually, when I am involved in this kind of meeting, I start with some apologies, explaining that I do like theoretical econometrics (if not, I would not come to the seminar), but I do like my freakonometrics activity. I do like to use econometrics (or statistical techniques) to figure out (at least to try) why some things works the way they do. I try to find data, and then try to briefly analyze them to answer some simple questions. Or sometime, I just run simulations to answer more theoretical questions (or at least to give clues). But above all, I like the fact that blogging gives me the opportunity to interact with people I would never meet without this activity. For instance, last May, I was discussing (on Twitter) with @coulmont, @joelgombin and @imparibus about elections in France. Then @coulmont asked me “yes, everyone knows that there should be some ecological fallacies behind my interpretation, but I am not so sure since I have data with a small granularity. As an econometrician, what do you think ?” Usually, I hate having a label, like “… I ask you since you’re a mathematician“, or “as an economist, what do you think of…“. Usually, when people ask me economic questions, I just claim being a mathematician, and vice-versa. But here, I even put on the front of my blog the word “econometrics” (more or less). So here, I could not escape… And the truth is, that while I was a student, I never heard anything about this “ecological fallacy“. Neither did I as a researcher (even if I have been reading hundreds of econometric articles, theoretical and applied). Neither did I as a professor (even if I have been teaching econometrics for almost ten years, and I have read dozens textbooks to write notes and handouts). How comes ? How come researchers in sociology and in political sciences know things in econometrics that I have never heard about ? The main reason – from my understanding – is the following: if everyone talks about “interdisciplinarity” no one (perhaps a few) is really willing to pay the price of working on different (not to say many) areas. I tried, and trust me, I found it difficult. It is difficult to publish a paper in a climate journal when you’re not specialist in climate (and you just want to give your opinion as a statistician). It is difficult to assume that you might waste weeks (not to say months) reading articles in geophysics if you want to know more about earthquakes risks, going to seminars, etc. Research is clearly a club (“club“ as defined in Buchanan (1965)) story. This week, I planned to go to some journal club in biology and physics, at McGill (kindly, a colleague there invited me, but we got a time misunderstanding)… this has nothing to do with my teaching, nor with my research activities. But I might learn something ! Yes, I do claim that I am paid just to have fun, to read stuff that I do find interesting, trying to understand the details of a proof, trying to understand how data were obtained. In most cases, it might (and should) be a complete waste of time, since I will not publish anything (anything serious, published in some peer reviewed journal) on that topic… but should I really care ? As I explained earlier (in French), I do also claim that I have a moral obligation to return everything I have seen, heard, read. And since I am not a big fan of lectures (and that I do not think I have skills for that) I cannot give my opinion, neither on economics facts (as @adelaigue or @obouba might do on their blogs) or on science results (as @tomroud does). But I think I can help on modeling and computational issues. My point being: never trust what you read (even on my blog) but please, try to do it yourself! You read that “90% of French executive think about expatriation” (as mentioned here)? Then try to find some data that should confront that statement. And see if you come up with the same conclusion… And since it might be a bit technical sometimes, here are some lines of code, to do it on your own… Academics have a legitimacy when they give their opinions on technical issues. At least they can provide with a list of reference everyone should read to get an overview of the topic. But academics can also help people read graphs, or data. To give them “numeracy” (or a culture in numbers) necessary to understand complex issues. To conclude, I should mention that I understood what this “ecological fallacy” was from Thomsen (1987) and many more documents could be found on Soren Thomsen’s page http://www.mit.ps.au.dk/srt/. But I got most of the information I was looking for from a great statistician, who happens to be also an amazing blogger: Andrew Gelman (see http://andrewgelman.com/). I will probably write a post someday about this, since I found the question extremely interesting, and important.